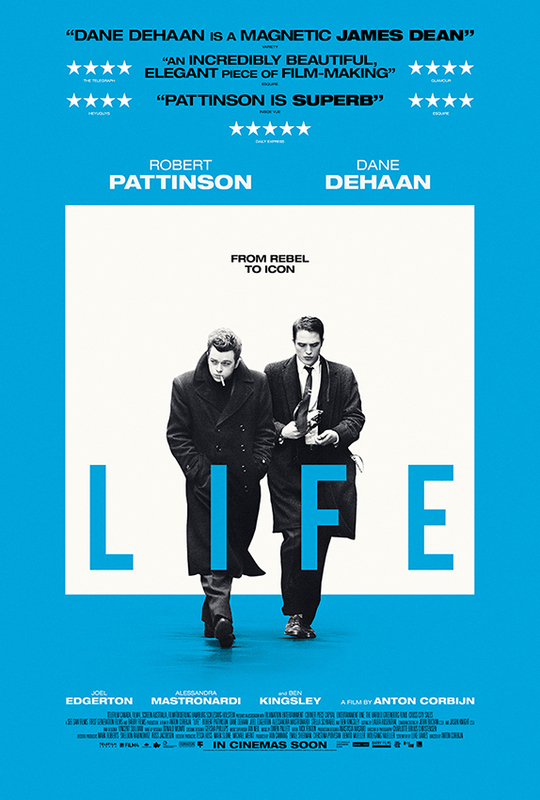 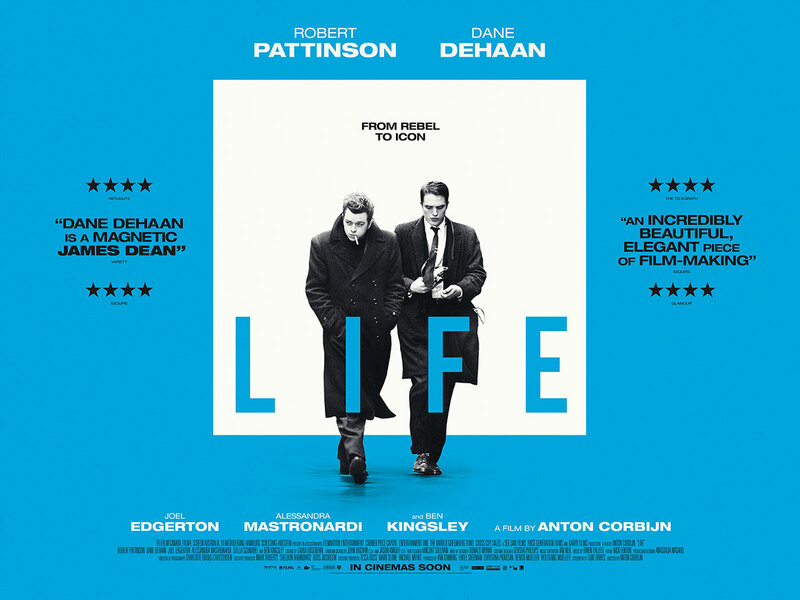 eOne came to Territory in need of Key Art for the release of Anton Corbijn’s 2015 biopic Life. 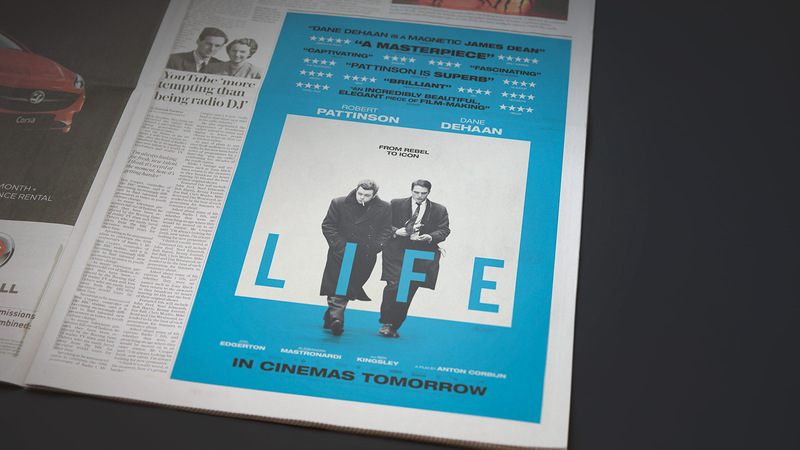 Being fans of his previous feature Control, we were more than happy to oblige. 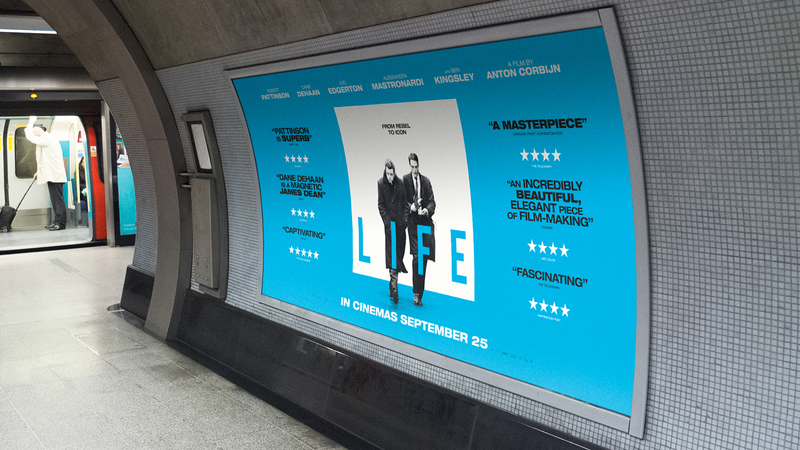 Given the size of the release, the film’s defined audience and the director’s keen eye for design, we were able to be bold and push boundaries – creating a slick, stylish and iconic piece of Key Art that transitioned seamlessly into the UK campaign roll-out. 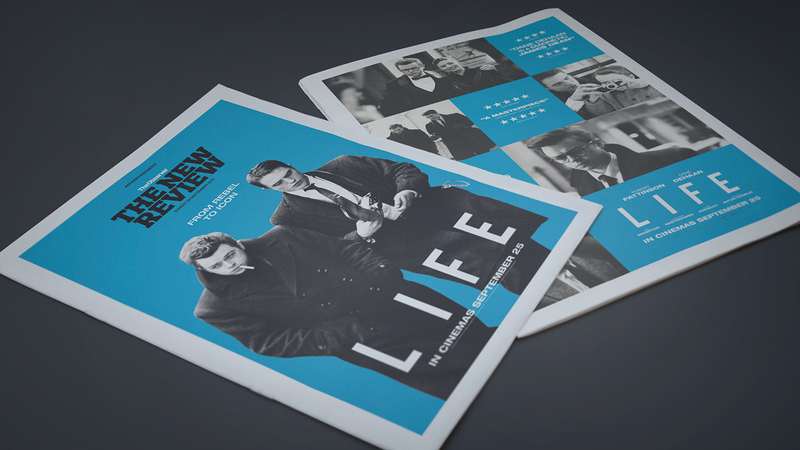 The campaign itself was widely admired by fellow industry representatives, as well as leading design magazines and creatives alike.